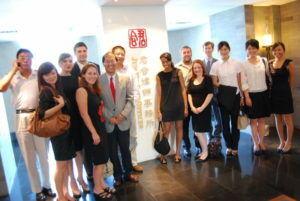 The St. Mary’s University School of Law has joined forces with the University of Dayton School of Law to offer Dayton Law students summer study law abroad experiences on two continents. Through St. Mary’s Law’s summer programs, Dayton Law students can pursue a greater understanding of legal issues important in other parts of the world. 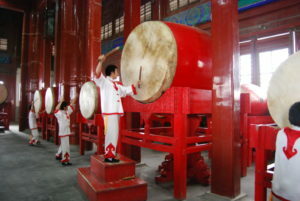 In the Institute on Chinese Law and Business Summer Program, Dayton Law students may join with law students from St. Mary’s and elsewhere to learn about the practical realities of doing business in China, as well as the dispute resolution mechanisms that play a large role in enforcing private agreements between enterprises in China and the United States. 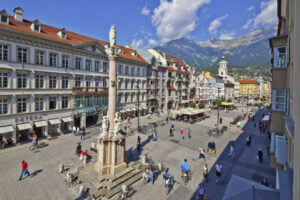 At the Institute on World Legal Problems in Innsbruck, Austria, Dayton Law students can participate in one of the longest continuously operated summer law study programs offered by any American law school. 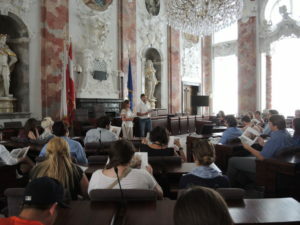 In Innsbruck, students will be able to visit local government offices and the state seat of government, and sit in on guest lectures presented by European professors and scholars traveling abroad. Classes are scheduled to allow students time to travel on weekends to such destinations as Rome, Paris, the French Riviera, Venice, Vienna, Zurich, Munich, Prague and Budapest.